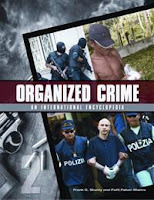 This is a copy of a paper in Organized Crime: From Trafficking to Terrorism, edited by Frank G. Shanty, pp. 243-246. Santa Barbara, CA: ABC-CLIO, 2008. Please cite as: Deflem, Mathieu and Kyle Irwin. 2008. "International Money Laundering Control: Law Enforcement Issues." Pp. 243-246 in Organized Crime: From Trafficking to Terrorism, edited by Frank G. Shanty. Santa Barbara, CA: ABC-CLIO. Money laundering involves activities to conceal the existence, illegal source, or illegitimate application of income and purposely attempt to make such income legitimate. A money laundering scheme involves three phases: placement, layering, and integration (Daley 2000; Joyce 2005). In the placement stage, money is deposited in a financial institution through a ‘front operation’ that provides a pseudo-legitimate source for the money. Next, layering involves a transfer of illegitimate income through international wire transfers across different accounts. And, finally, integration is accomplished by reintroducing the funds in legitimate economic activities. Organized crime and money laundering have a special connection due to the technical sophistication and relation to drug trafficking that each holds. Various international regimes have been instituted to suppress money laundering activities, alongside of which law enforcement responses have been devised. International policies to suppress money laundering have been instituted in various forms (Daley 2000; Sheptycki 2000; Zagaris 2004). At a bilateral level, Mutual Legal Assistance Treaties among various countries allow for agreements on a broad range of measures, such as the sharing of evidence, the locating and identifying of persons, and the execution of requests for searches or seizures. Bilateral treaties can be executed because many countries have passed similar laws criminalizing money laundering. Extending the activities among nations, international governmental bodies have also regulated money laundering (Daley 2000; Joyce 2005; Sheptycki 2000). In 1988, the United Nations convention on the ‘Illicit Traffic in Narcotic Drugs and Psychotropic Substances’ criminalized money laundering associated with drug trafficking. Also in 1988, the Basel Committee on Banking Supervision, consisting of bank and government representatives from 11 major industrialized nations, drafted a ‘Statement of Principles on Money Laundering’ that specified ethical standards for banks (Daley 2000; Sheptycki 2000). Among the standards is the so-called ‘know your customer’ rule, urging banks to get to know the true identity of their clients so that money launderers can be detected. In 1989, the authorities of the G-7 nations set up a Financial Action Task Force (FATF) on Money Laundering (Daley 2000; Joyce 2005; Sheptycki 2000). The Task Force established a list of recommendations that encourage nations to criminalize money laundering and adopt measures to seize assets tied to such activities. Although the FATF recommendations are not legally binding, they have in the meantime been extended to 26 nations with advanced capitalist economies. Regional conventions, mostly in Europe, have also been agreed upon. In 1990, the Council of Europe agreed upon a ‘Convention on Laundering, Search, Seizure and Confiscation from Proceeds of Crime’ that criminalized all money laundering activities and urged greater transparency in relevant financial transactions. In 1991, the European Union specified an additional directive on ‘Prevention of the Use of Financial System for the Purpose of Money Laundering,’ which extends the prohibition of money laundering to all organized-criminal activities. The fact that a criminal activity is formally prohibited and criminalized by law or international convention is insufficient in establishing an effective prohibition regime. Laws and regulations also need to rely on specialized enforcement agencies. With respect to crimes with important international dimensions, such as in the case of money laundering, additional enforcement issues are posed at an international level. Because it is a hidden and technically sophisticated crime that often transcends the boundaries of national jurisdiction, money laundering is not easily policed with conventional means of law enforcement. Within nations, money laundering is the subject of law enforcement activities both as part of existing police responsibilities and as a function of new specialized agencies. In the United States, for instance, the Federal Bureau of Investigation (FBI) and the Drug Enforcement Administration (DEA) engage in operations against money laundering as part of their existing duties. The DEA launches major operations against the money-laundering capabilities of important drug-trafficking organizations. In the FBI, a Financial Crime Section oversees a Money Laundering Unit whose primary purpose is to identify, disrupt, and dismantle money laundering operations, especially in terms of the FBI’s programs against white-collar crimes, organized crime, and drug and violent crimes. The FBI Unit also maintains liaisons with other federal, state, and local agencies and oversees specialized task forces to address domestic and international money laundering matters. In the current era of globalization, where crimes of money laundering often cross jurisdictional borders, relevant law enforcement strategies should transcend borders as well (Cuellar 2004; Sheptycki 2000; Zagaris 2004). National money laundering laws have important international law enforcement dimensions. From the US viewpoint, money laundering activities are conceived as threats to international security, whereby the governments in some countries are seen as unable to withstand the risks or avoid the temptation of illegitimate monetary transactions in their economies (Sheptycki 2000). US law enforcement agencies have responded to this situation by setting up so-called ‘sting operations’ in vulnerable foreign countries, often without the consent of the governments of these countries. In 1992, for example, law enforcement agencies of the US and the UK unilaterally devised a sting operation in the Caribbean island of Anguilla. Having set up several front companies and bank accounts, undercover agents sought out the business of money launderers over a period of 5 years. Besides transnational operations unilaterally conducted by an agency of one nation and cooperative efforts among law enforcement agencies representing a limited number of countries, there are also multilateral enforcement strategies against money laundering. The Basel Committee’s Statement of Principles of 1988 already emphasized the need for nations across the world to comply with money laundering laws and to cooperate with law enforcement. As a result, specialized units have been established in national and international law enforcement and security communities to adequately police money laundering measures. The 1991 directive of the European Union, for instance, led to the creation of Financial Intelligence Units to exchange information with one another (Sheptycki 2000). At the international level, special attention must go to the efforts against money laundering overseen by the International Criminal Police Organization, the organization better known as Interpol. An international cooperative structure of police agencies currently representing 182 nations across the world, Interpol has devoted special attention to financial crimes with an important international dimension, including money laundering. Because Interpol is not a police force, but a cooperative structure among existing national police agencies across the world, the organization has primarily acted to urge its members to enact measures to identify, trace, and seize the assets of money laundering operations and to exchange information among one another concerning these matters. Finally, private institutions also play a role in the enforcement of money laundering policies. Specifically, because many national and international policies concerning money laundering involve transactions via banks, these financial institutions take part in the effective enforcement of money laundering policies (Cuellar 2004; Daley 2000; Joyce 2005; Sheptycki 2000). The financial world has been called into the service of the law enforcement community, and money laundering measures often hold banks accountable for enhanced record-keeping. Generally, banks have been willing to play this role of law enforcement agent because compliance with regulations allows them to maintain their reputation and respectability. Nevertheless, sometimes banks have been less than cooperative in reporting illegal activities. Suspicious transactions can go unreported in that banks profit from any monetary transaction whether legal or illegal. Although efficiency in means of policing is an important consideration in many law enforcement activities, especially those involving important high-tech dimensions as in the case of money laundering, less is known about the effectiveness of law enforcement operations. While some law enforcement operations have been successful in cracking down on specific instances of money laundering, the proportion of such successful strategies relative to the total number and profitability of money laundering schemes on a global scale may be small (Daley 2000). From the viewpoint of those involved in organized crimes involving millions of dollars, any loss due to expanded legal controls and law enforcement may be considered a negligible cost of doing business. Since the events of September 11, 2001, law enforcement measures against money laundering have been expanded and modified (Joyce 2005; Zagaris 2004). Law enforcement agencies presently focus not only on money laundering involving offshore practices through wire transfers, but also on cash-based forms of money laundering. Such cash forms of money laundering have been found to be more prevalent in cases involving certain international terrorist groups. Expanded law enforcement capacities since 9/11 are supported by new pieces of legislation. Specifically, the USA PATRIOT Act includes a separate section devoted to international money laundering and terrorism that seeks to strengthen both anti-money laundering and counter-terrorism enforcement efforts (Zagaris 2004). The Act has broadened the reach of relevant law enforcement activities and encourages cooperation among financial institutions, financial regulators, and law enforcement. Like the PATRIOT Act, finally, international regulations have likewise begun to focus on the nexus between terrorism and money laundering. On September 28, 2001, the United Nations Security Council adopted a resolution involving a multitude of measures concerning the financing of terrorism. Cuellar, Mariano-Florentino. 2004. “The Mismatch Between State Power and State Capacity in Transnational Law Enforcement.” Berkeley Journal of International Law 22:15-57. Daley, Madelyn J. 2000. “Effectiveness of United States and International Efforts to Combat International Money Laundering.” Saint Louis-Warsaw Transatlantic Law Journal (2000):175-204. Joyce, Elizabeth. 2005. “Expanding the International Regime on Money Laundering in Response to Transnational Organized Crime, Terrorism, and Corruption.” Pp. 79-97 in Handbook of Transnational Crime and Justice, edited by Philip Reichel. London: Sage Publications. Sheptycki, James. 2000. “Policing the Virtual Launderette: Money Laundering and Global Governance.” Pp. 134-176 in Issues in Transnational Policing, edited by J.W.E. Sheptycki. London: Routledge. Zagaris, Bruce. 2004. “The Merging of the Anti-Money Laundering and Counter-Terrorism Financial Enforcement Regimes after September 11, 2001.” Berkeley Journal of International Law 22:123-157.